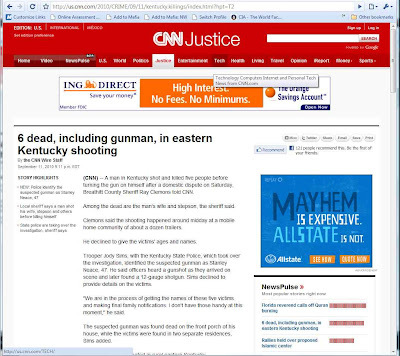 Here's proof that the big news orgs sometimes make a mistake, even basic ones. CNN, ran a story today (9/11) at 9:11pm EDT with an 'ambiguous headline and byline. 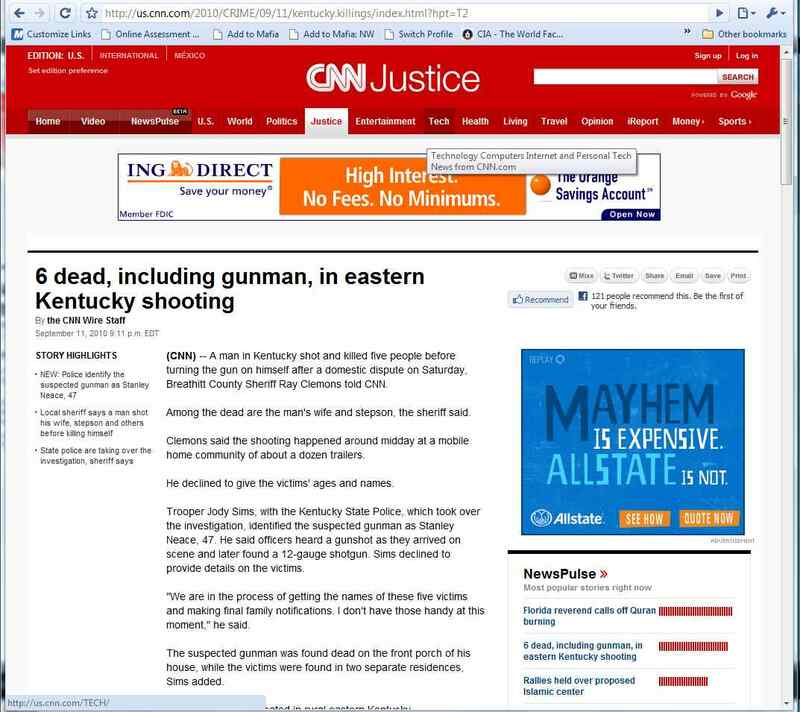 By the CNN Wire Staff"
"Gunman [shoots and] kills 5 before suicide in eastern Kentucky"
It leave out the ambiguity of office feuds gone amok, although it does leave the lingering suspicion that the killer travelled to Kentucky to kill himself. The bit in brackets may not be needed, but can add to the impact a little. This is basic journalism school headline work. but CNN, if you want to sling some work my way, feel free to get in touch. And lest you think I was making it up, here's the headline in question.